PHILIP Chiyangwa's bid to retain his post as Zifa president fell in embarrassing fashion after he was trounced by former board member, Felton Kamambo, in an election held in Harare yesterday. Kamambo, who had predicted a 40-20 victory on the eve of the election, garnered 35 votes, against Chiyangwa's 24, to force a re-run as no candidate had reached a two-thirds majority to be declared winner as stipulated by the Zifa constitution. 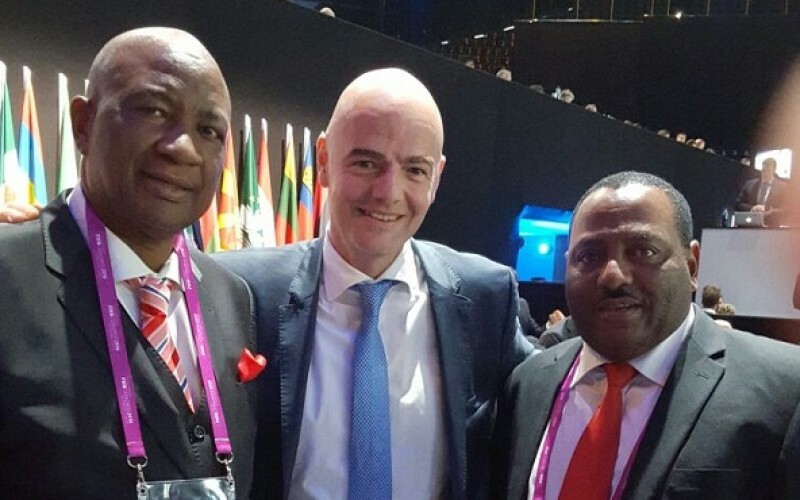 Yesterday's ballot marked an end to a dramatic, controversial and event-filled election campaign, which saw Kamambo initially being barred from contesting before Fifa intervened and allowed him to contest. "I want to thank the football family of Zimbabwe, we have all won. It's not Kamambo that has won, but we have won as Zimbabwe, Africa and the world at large. But the honeymoon is over, the electioneering is over and, we need to deliver what we promised the family of football. It's time to pull our socks up. It won't be business as usual," Kamambo said. They will be joined on the new executive board by Premier Soccer League (PSL) chairman Farai Jere and women's football boss Barbra Chikosi, as demanded by the Zifa constitution. "We will do our best in the four years so that we make achievements in our term. As for my board, I have worked with some of them, and if I look at their backgrounds, this board is actually made from heaven. I don't doubt that they will deliver. There is no room for failure, no room to relax. I'm a man for results. I want to make my name in Zimbabwe, and I can only do that with this opportunity that I have been given to run football. "They were only 60 councillors who voted, but they have done it for the other million Zimbabweans, so we need to work hard in order to achieve the expectations of the football family and the nation. Mine were not just promises, mark my words, we will definitely achieve our goals as laid down in my manifesto." He said top of his priority list is to move the Zifa offices from Chiyangwa's premises, where they have been operating from since 2015 after relocating from the Zifa House. Servicing the Zifa debt, which has ballooned to $8 million, is also Kamambo's primary concern. "Our offices are being operated from Chiyangwa's house, and we have to move from there. That has to be done as a matter of urgency. The other issue is that the football family is divided, and we need to unite it. The suspensions, that we have been seeing will come to an end. We need to engage all the stakeholders to know their expectations so that when we plan, we take all their considerations into account. Part of the stakeholders that we are going to engage are those on our legacy debt list. We need to come to an agreement with them so that we can find a way of dealing with that debt. The pre-election drama was over by the time I was allowed to contest. We are now focussing on the development of our football, and that is our priority." Fifty-nine councillors out of 60 voted in yesterday's election. Meanwhile, PSL's proposal to change its calendar to align it with that of Caf and other major leagues was turned down at yesterday's congress.